A month ago I decided to take a trip to Bombay to see my grandfather. We are really close so it was important for me to visit as he is not in the best of health. It had been 2 years since I was in India so I was really excited. It seems like the longer I live in the western world, the more I lose my Indian-ness, so I needed to immerse myself there again, even if just for 6 days. As I recently became president/chairwoman of the Swedish Legume Society (Baljvaxtakademin), I saw food from the legumes angle more than ever. I am so fascinated that they are used in so many unique ways: chickpea pancakes, gram flour crisps, gram flour savory cakes, beans in desserts, sprouted legumes in stews... The list is really endless and I would like to spend more time there discovering these genius methods of preparation. 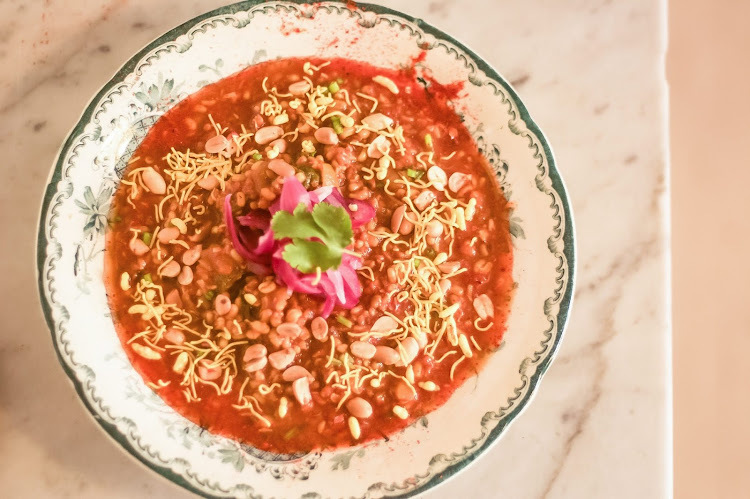 But for now I would like to introduce you to the sprouted legume stew called missal -- it's a traditional dish from Maharashtra - where Bombay does lie. I ate it recently at the cafe Food for Thought (it's in the bookstore Kitab Khana in Fountain) and thought it was so delicious, full of flavors and textures. The stew itself is made with a spicy base of onion and tomato. 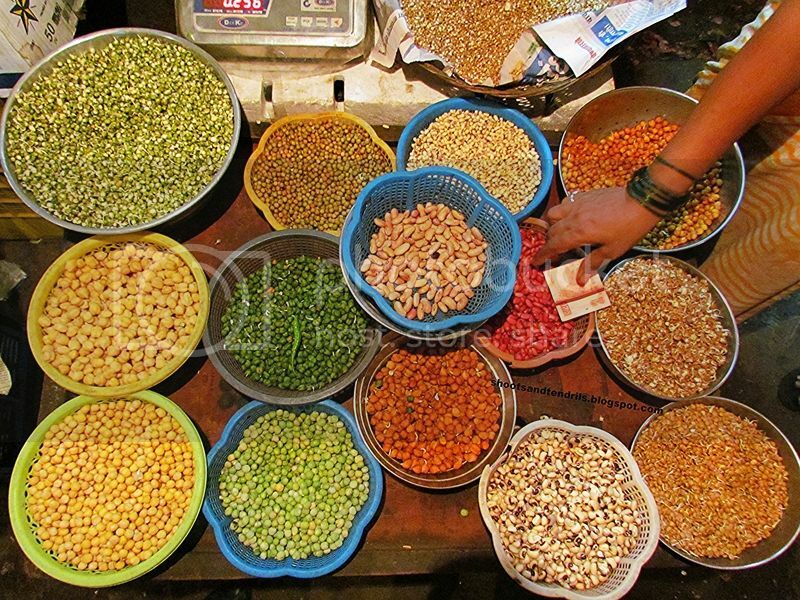 Traditionally either sprouted moth beans, mung beans and green or brown chickpeas are added. The brilliant thing about this recipe is that it uses legume sprouts. Legumes (lentils, beans and dried peas) contain bioactive compounds that can prevent optimal nutrient absorption. Some of these compounds prevent, for example, iron and zinc absorption, and some even prevent protein digestion. Therefore, methods like soaking, de-hulling, cooking, sprouting and fermentation are ways to break them down. 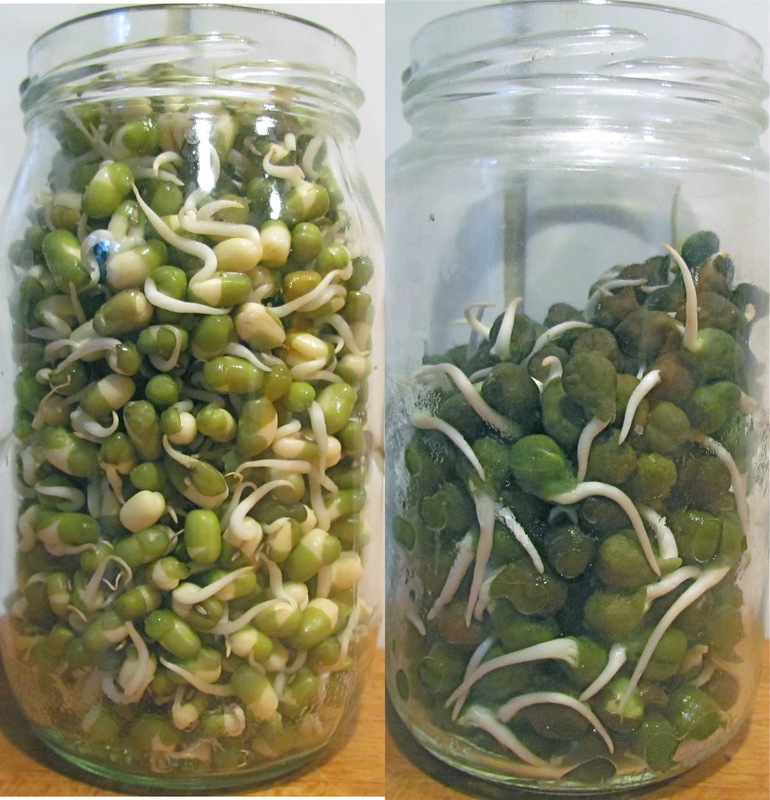 One can always just soak and cook legumes, but sprouting and fermentation take it a step further and break down many more bioactive compounds, which make their nutrients easier for the body to absorb. It may seem contradictory but these bioactive compounds are also good for you! Many studies have started to show that they can prevent diabetes, heart disease and certain types of cancers. I discuss more of this in my bachelor thesis that I'll be sharing here later in the month. So even though legumes contain beneficial bioactive compounds, treating them by soaking, heating, sprouting and/or fermentation aid in nutrient absorption and make them more digestible. Plus the fact that this stew is full of crunch, crispness and flavor makes enjoying legumes even easier! 1. In a bowl, rinse the chickpeas and soak for 8-12 hours. In a separate bowl, rinse the mung beans and soak for 8-12 hours. In the morning, drain and rinse each of them. Place each separately in a jar with a clean tea towel or cheesecloth on top to cover. Rinse and drain every 5 hours (or whenever possible). Once they start sprouting, place them in the fridge until ready to use. 2. To make the stew, heat a large pot with oil on low heat and sauté the onions until golden. Then add garlic and ginger and cook for a minute. Add the spices and cook for 30 seconds, adding extra oil if needed in order to lightly fry them. Then add the tomatoes and simmer for 10 minutes. Then add water and the sprouted chickpeas and salt. Boil for 10-15 minutes until the chickpeas are tender, then add the sprouted mung beans and cook for another 10 minutes. Taste for seasoning. 3. Serve a bowlful with coriander, red onion, peanuts, sev, a squirt of lime juice and a dinner roll, if needed.